Home » Bollywood News » Mira will never let Shahid go! 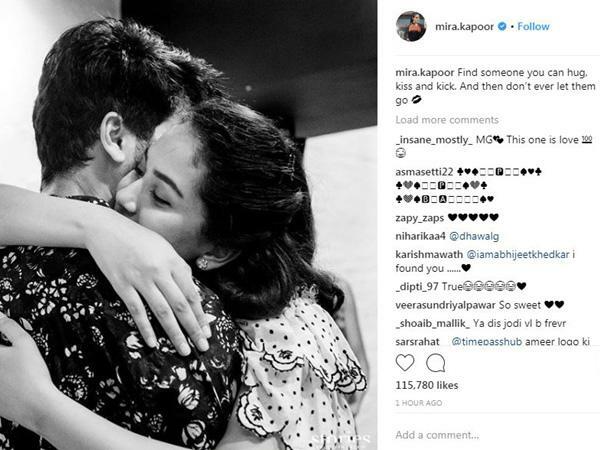 Mira Rajput never fails to show how deeply she is in love with her actor husband, Shahid Kapoor. The doting wife shared a swoon-worthy picture of the couple on photo sharing application Instagram. The much-in-love couple can be seen sharing a hug in the adorable black and white photo. Mira captioned it "Find someone you can hug, kiss and kick. And then don't ever let them go ??". The couple celebrated their third anniversary earlier this month and are all set to welcome their second child soon. 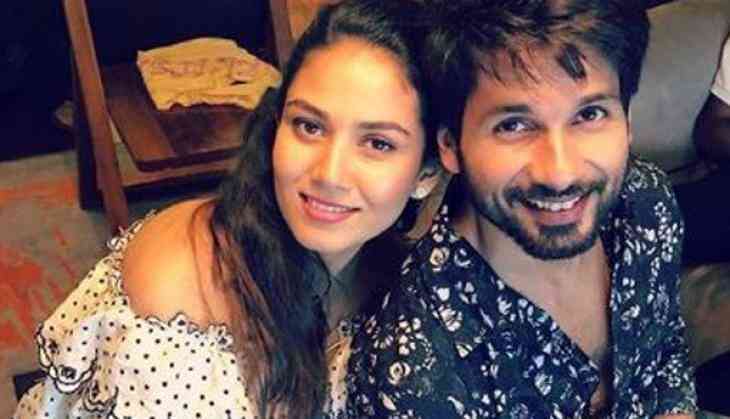 A baby shower was hosted for Mira Rajput on July 16. The couple's first child, one-year-old daughter Misha, is already an internet sensation as her parents keep giving fans a peek into her life with cute photos and videos. Infact, Shahid made the announcmenet of his wife's second pregnancy using a photo of their daughter. 'Shamira' tied the knot on July 7, 2015, in an intimate ceremony in the outskirts of Delhi.